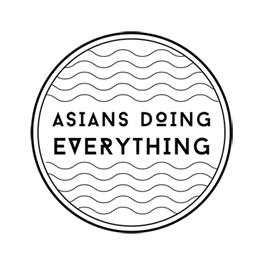 Asians Doing Everything recognizes and celebrates the work being done by Asians and Pacific Islanders around the world. We transcend the roles often given to us by popular media; we're not just doctors, sidekicks, and nail salon owners...although we are those too. We pursue an infinite variety of jobs. But we are also passionate about things not connected to a paycheck. This blog seeks to uncover how we operate as striking, multifaceted, and global movers and shakers within our communities and economies.